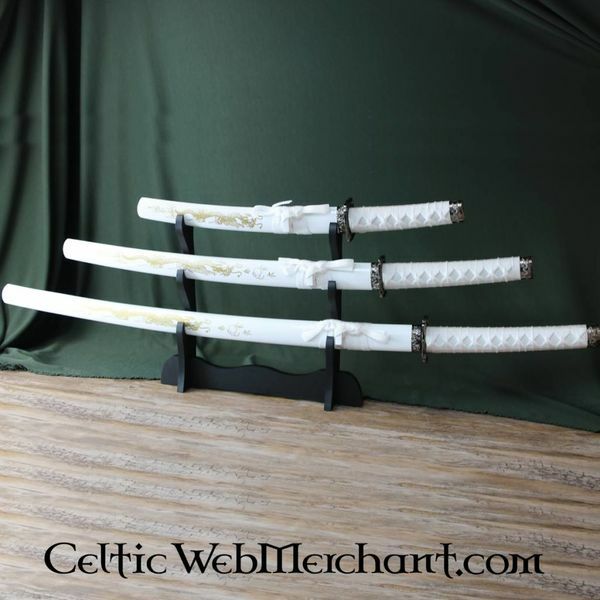 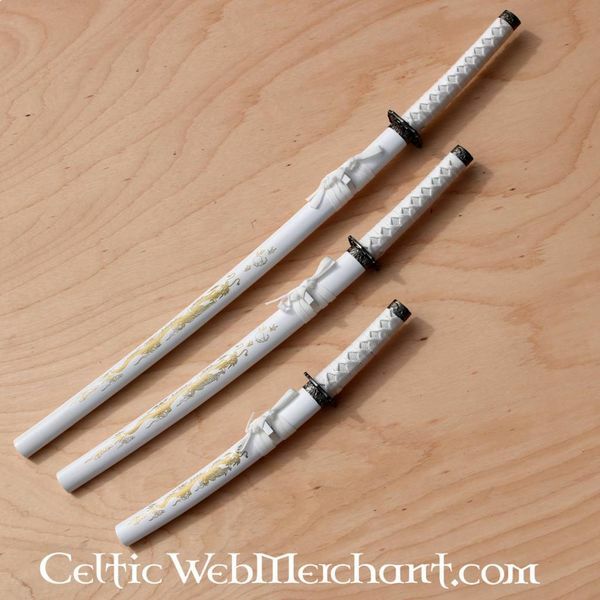 This set consists of a stylish white katana, wakizashi and tanto with matching stand. 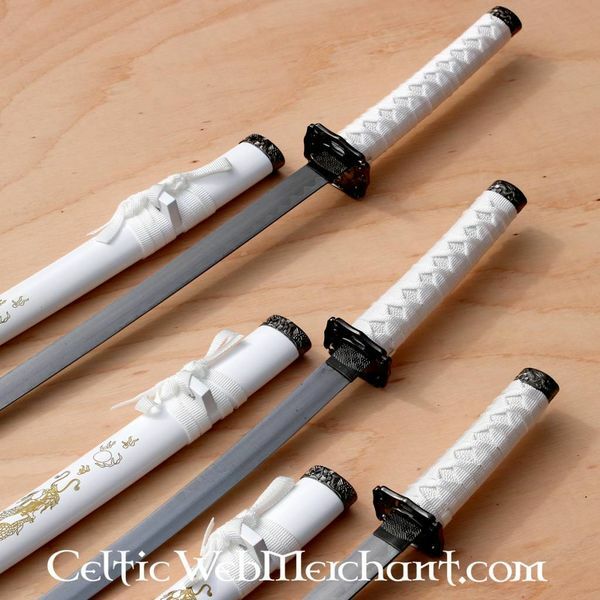 The blades of these Samurai swords are made of carbon steel with an imitation Hamon layer. 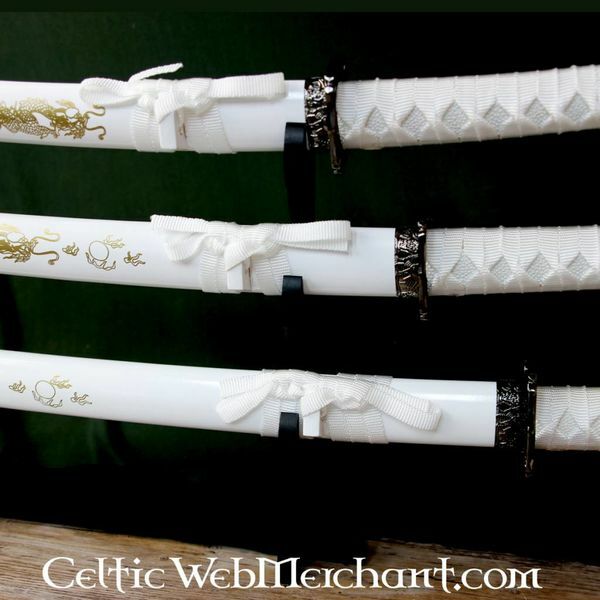 The scabbards are decorated with a Japanese dragon. 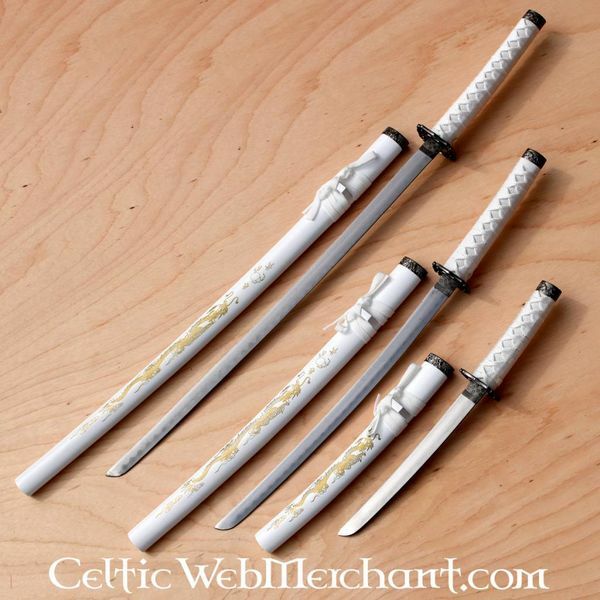 The grips of this set are wrapped round with rough woven cotton. 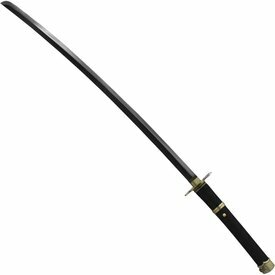 The katana is 93,5 cm long. 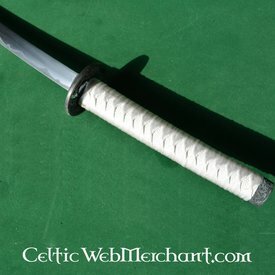 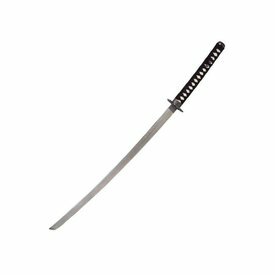 The wakizashi is 70 cm and the tanto 44 cm. 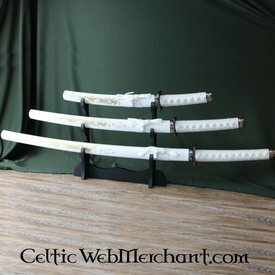 This decorative katana is not suitable for cutting tests or sword battles.